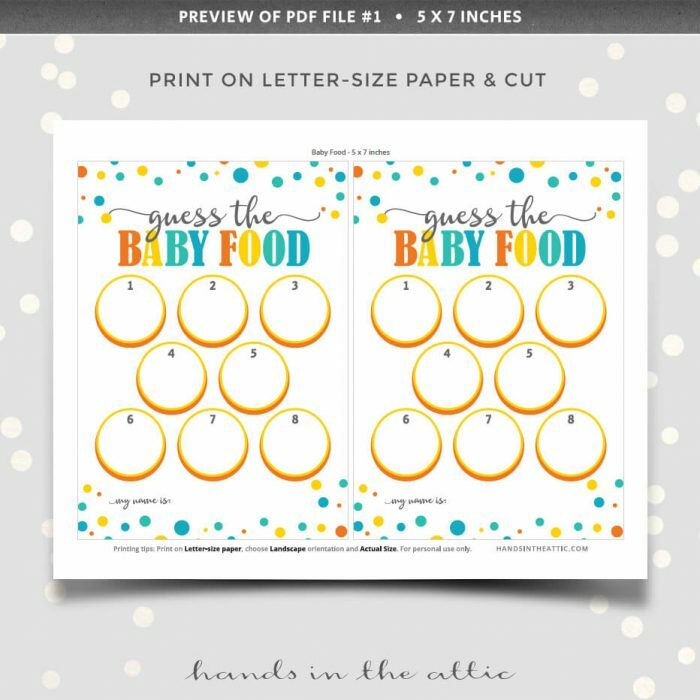 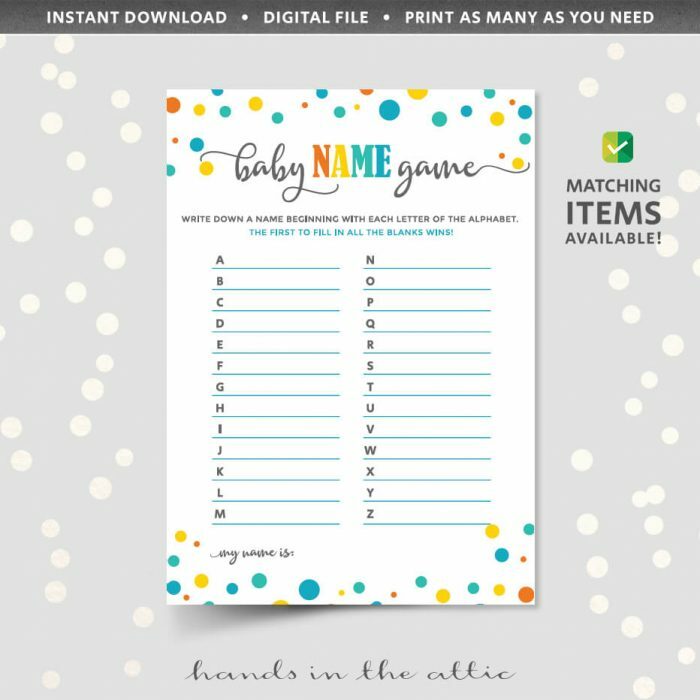 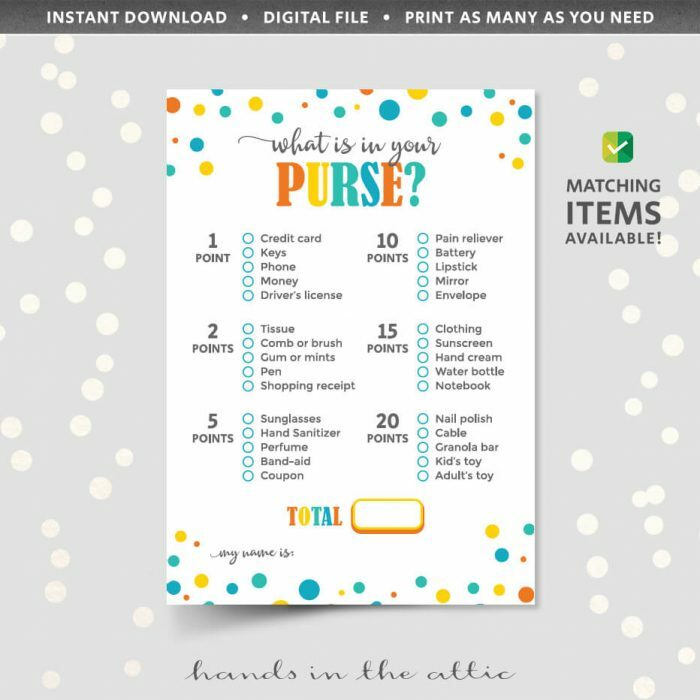 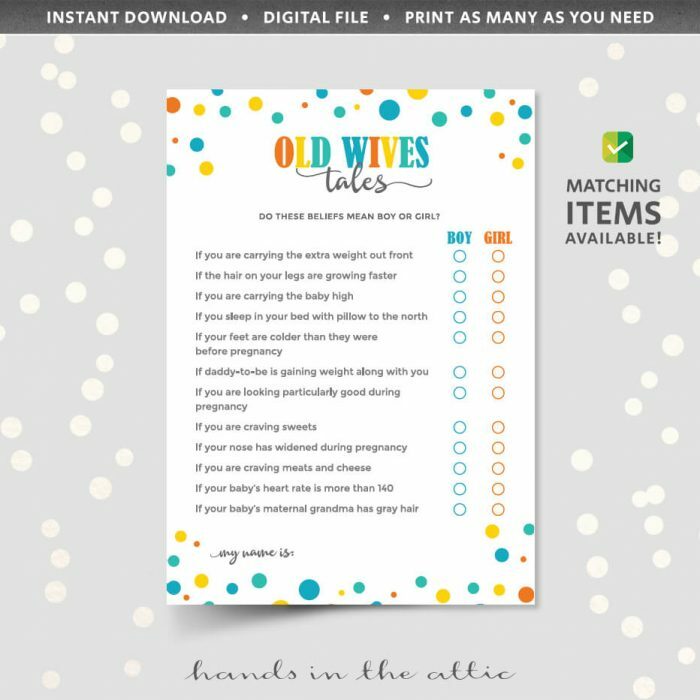 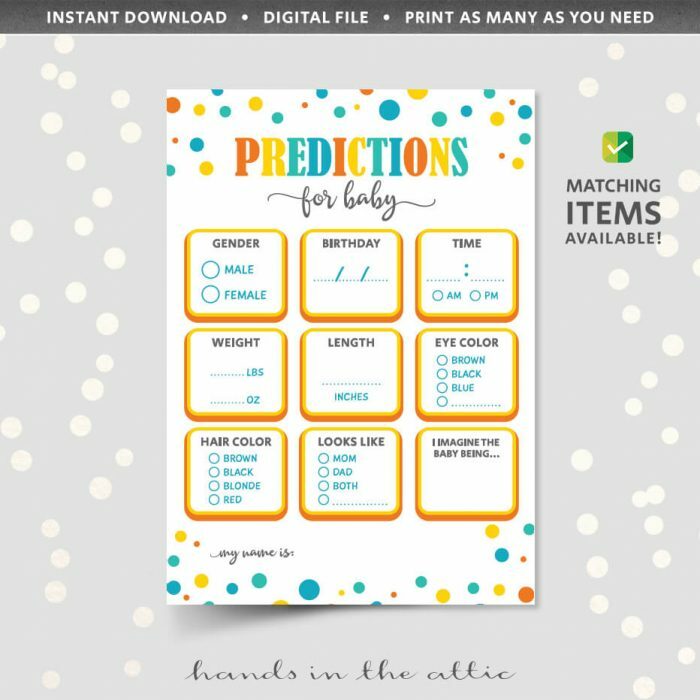 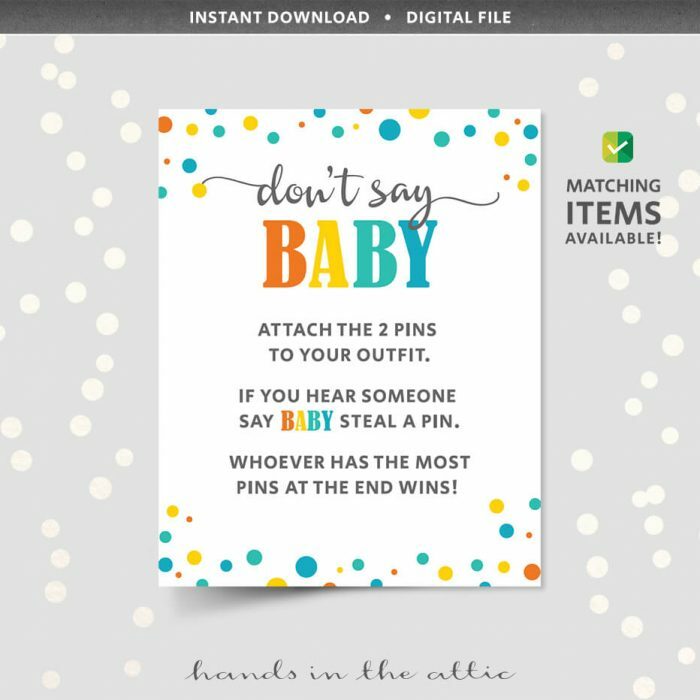 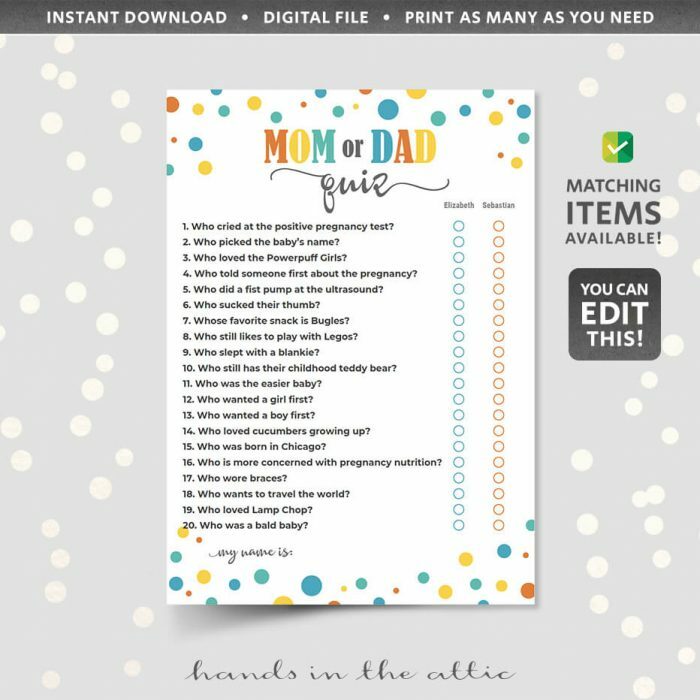 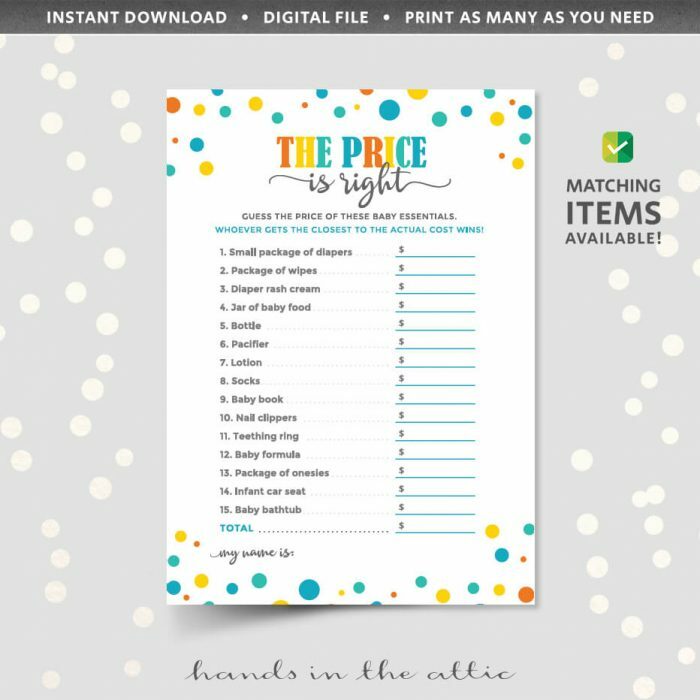 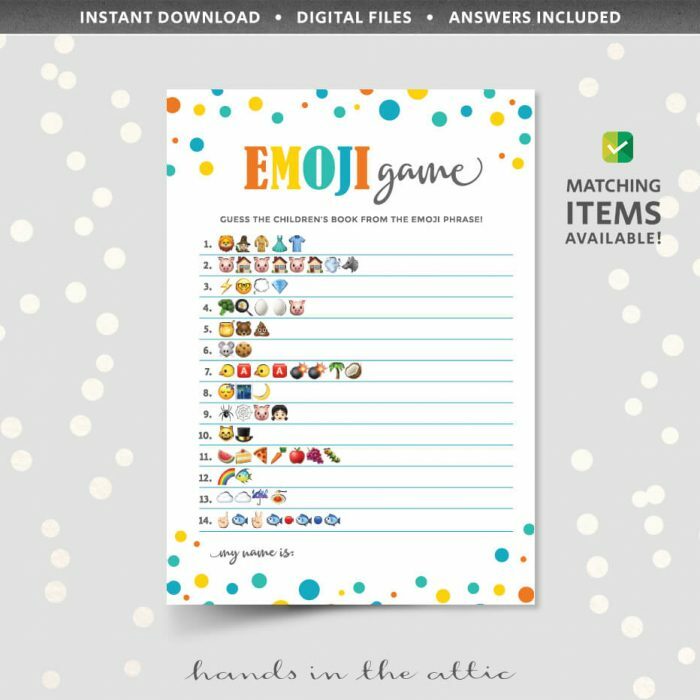 This Guess the Baby Food game is a printable, baby shower guessing game. 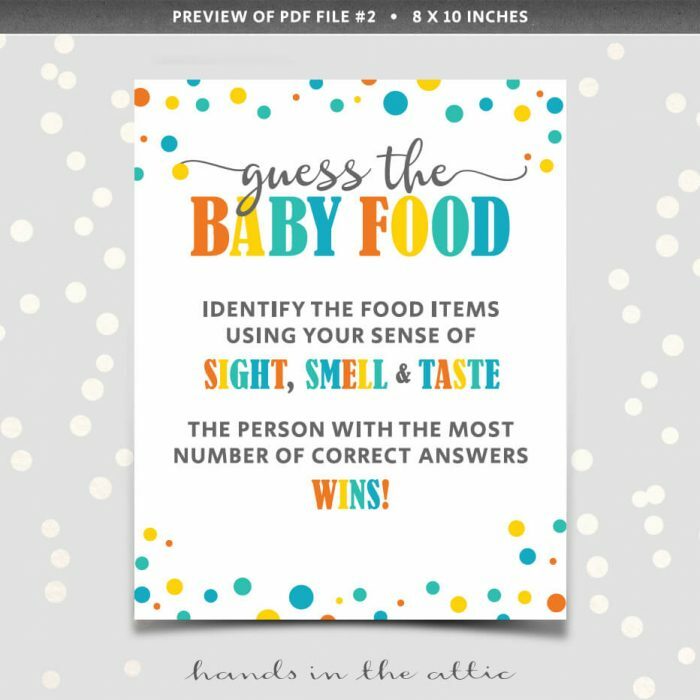 8 jars or dishes of food are laid out for guests to try. 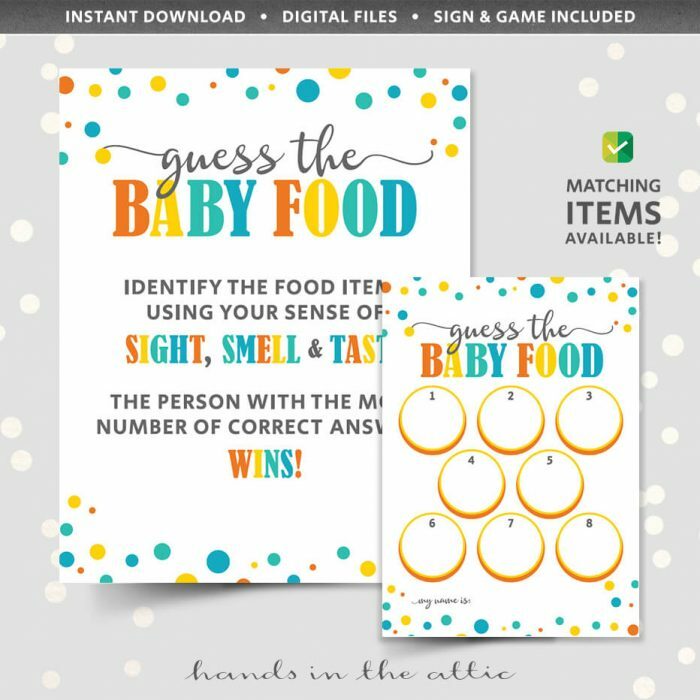 There are no labels, so players have to use their senses to name the baby food. A sign and a game sheet are included in this download.